If you look around conventions (we travel to lots of them), admittedly, you do see a lot more moms than dads. 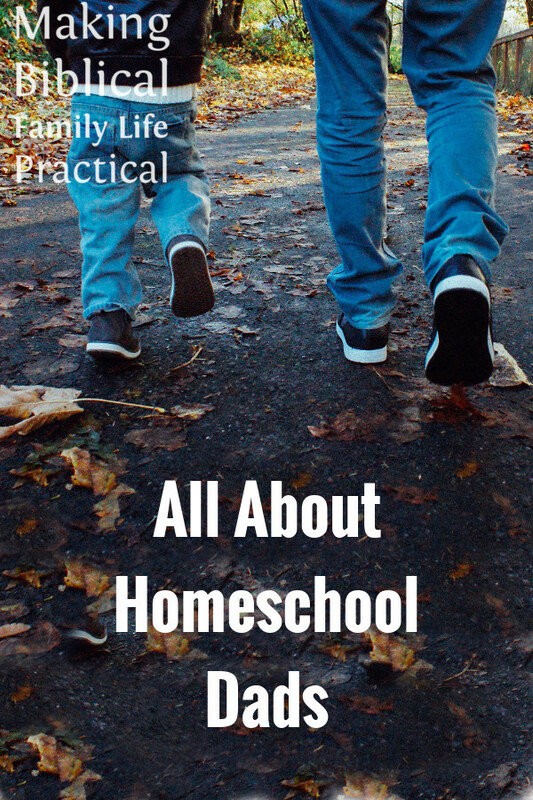 It’s not just anecdote; a study published by the National Home Education Research Institute in 1997 found that 88% of homeschool instruction comes from mothers, and only 10% from the fathers. I asked the researcher, Dr. Brian Ray, if he thought that number was higher today, and he agreed that with the rise of telecommuting and more working from home (plus some issues with the current economic downturn), there probably are more dads doing day-to-day teaching – but it’s still a small minority. Shouldn’t he be more involved? 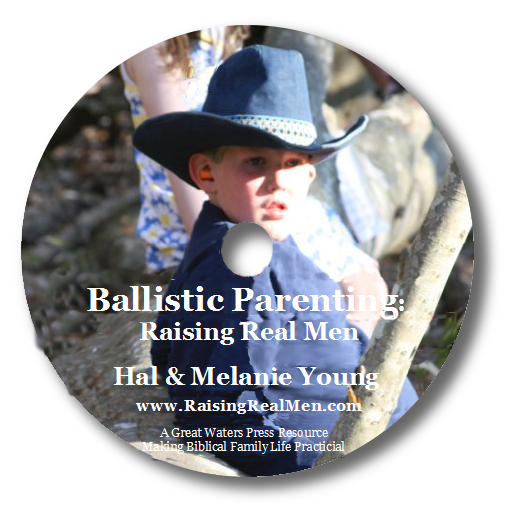 The Bible suggests that the husband is responsible for what happens in the home, and if he agrees to the kids being homeschooled – even if he’s not enthusiastic or especially supportive – then it’s got his approval and therefore his has responsibility. So should Dad repent and do all the homeschooling? Not if it makes more sense for Mom to do it. The Bible says that Solomon built the Temple (look at 1 Kings 6:14) , but it’s plain there were designers and project managers and construction teams who did the work – not the King all by himself. 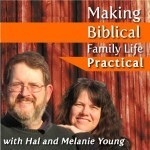 Even if Mom is doing the day-to-day instruction, Dad is still a homeschooling Dad – even if he’s not the main teacher. Of course, the passages above suggest there’s no problem if he is doing most of the teaching. But if your family is the traditional sort with Dad as outside breadwinner, and Mom the teacher at home, what role can Dad play? What should he play? What can Mom do to help this happen? Be sure you’re on the same page with your homeschooling vision — and expectations. Are you in agreement that homeschooling is the right choice, at least for the present? Do you have the same goals for this educational project? The division of homeschooling labor can take many forms–find what works in your family situation. Maybe Dad can do academic teaching sometimes — Hal helps with some of the math, for example. We have friends who transferred their oldest son to Dad’s daily supervision when he turned 12. Maybe Dad can take practical charge of things like athletics, P.E., and work skills. If Mom’s the principal instructor of the school, think of Dad as the headmaster. This is obvious in our state, which treats homeschools like tiny, very exclusive private academies. 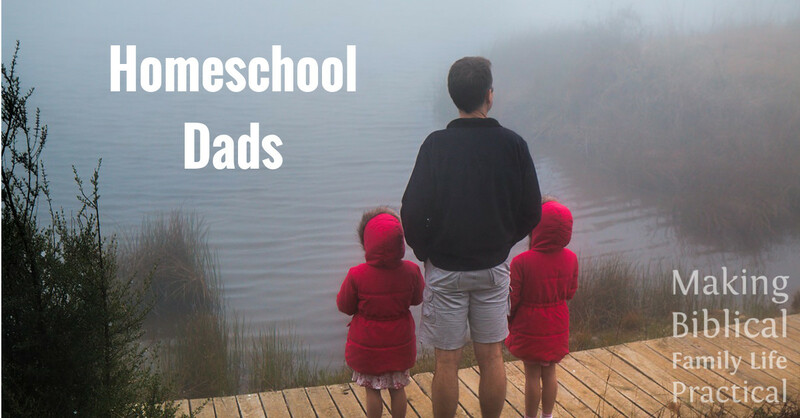 The head of a private school would be concerned with vision, direction, strategy, and funding–very natural roles for a homeschooling dad–more than individual lesson plans! 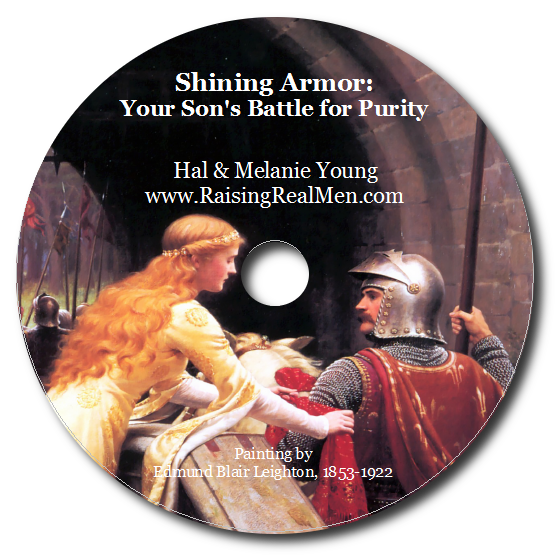 We tell fathers to give special honor to their wives and listen for their insights into the kids’ heads and hearts. 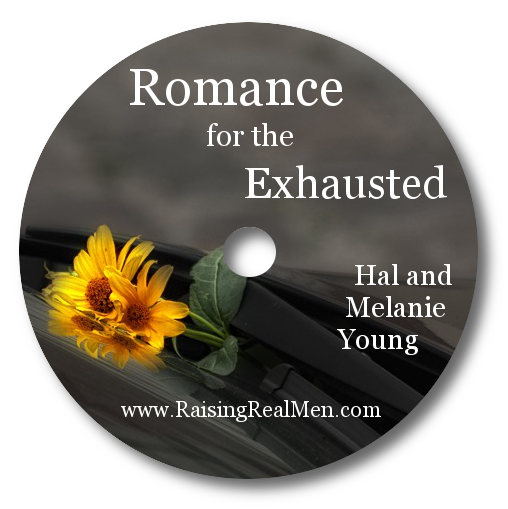 Wives need to appreciate that their husbands can offer a more strategic view to their daily struggles, and play a strategic role in the homeschool project. Be sure to communicate regularly–even before he asks. A tired husband often thinks, “‘No news’ means ‘No problems. '” Don’t wait for him to ask about school; share your experience and your questions, too. Actually, the fact that he’s not in the trenches with you every day may allow him to bring fresh eyes to your situation, or a perspective from a different viewpoint. Your different roles complement each other if you share and coordinate freely. Don’t forget the real goal for a Christian homeschooler is discipleship. The Bible doesn’t say a lot about the schoolroom, but it says a great deal about raising your children to know and serve the living God. Taking charge of your child’s daily education means re-capturing thirty to forty hours a week that they’d spend away from you otherwise — and any of those hours may be a crucial moment for their spiritual and character growth. Embrace that, no matter who is teaching algebra at the moment!